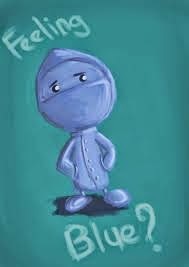 To Feel Blue: To feel depressed or sad. The use of the color blue to mean sad dates from the late 1300s. Nikki: What is the matter, Ned? You look awful! Ned: I’m feeling really blue because Carol just left me for another guy. Ned: Her new co-worker, Bob. She just told me all of a sudden that she wanted to break up. Nikki: I’m so sorry to hear that. Don’t worry. You’ll find someone new. Besides, you didn’t get along very well with Carol anyway. You need to find someone who likes the same things you like. Ned: You’re right. I feel blue now, but tomorrow things will be much better. Bob: Oh, no! I failed my math test. That means I have to take summer school to bring up my grade. Ken: That’s too bad! You must really feel blue right now. Bob: You think? I had big plans for the summer and now it will all be spent at school with Mr. Simpson doing math problems. Ken: Maybe you should have studied more? Bob: Ok, don’t make it worse. I already feel blue. You need to do something to cheer me up. Ken: Well, I can help you with your math. I love math. I could do it all day! 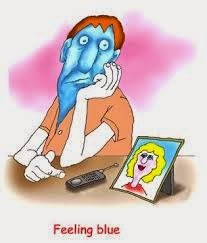 Meaning: To feel blue means to feel very sad about something or someone. In the first dialogue, Ned is feeling blue because his girlfriend broke up with him. In the second dialogue, Bob feels blue because he has to take a math class during the summer instead of doing something fun. 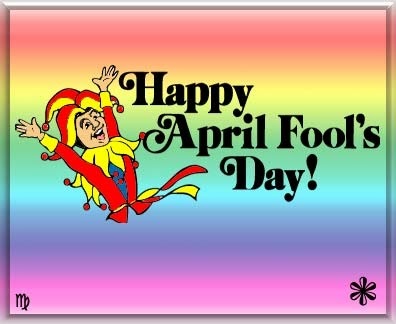 April Fools' Day falls on the first of April each year and every year; this day is also known as All Fools' Day. First celebrated in France, people believe it came from a calendar change in the 16th century when the calendar transition switched New Year's Day from April 1 to Jan. 1. People who would continue celebrating New Year's on the first of April were considered to be "April fools." As such, people would play tricks on those who celebrated. Many people play pranks and tell funny lies on the April fool’s day, so be alert! After a person has played a prank, they say "April fools" to let everyone know it was just a prank or joke. Cindy: Yuck!!! These doughnuts are HORRIBLE! What kind of filling is this? Pat: Ha ha! April fools! Pat: It's April 1st today, so it is April Fools' Day! You know that you are officially allowed to play pranks and tell lies on April Fools' Day. 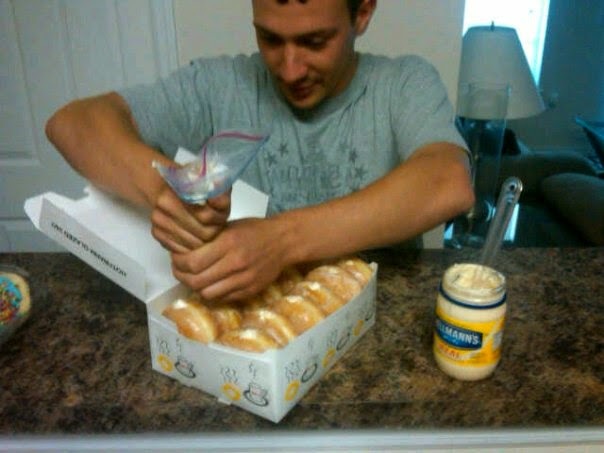 I put mayonnaise filling in the doughnuts! Patricia: Did you see Ken's status on Facebook!! Cherri: No, what happened! Calm down and take a few deep breaths. Patricia: He just changed his status from single to married!!! I didn't even know he was engaged. He just married someone named Betty, who is 52 and lives in Texas. Cherri: Come on! You know that can't be true. It's probably an April fools' joke. I mean, he's only 19. She is old enough to be his mom. Patricia: That's right! It's April Fools' Day. I always forget. Meaning: In dialogue 1, Pat played a prank at the office by filling the doughnuts with mayonnaise for April Fools' Day. In dialogue 2, Ken made up a fake status about marrying a much older woman in another state.